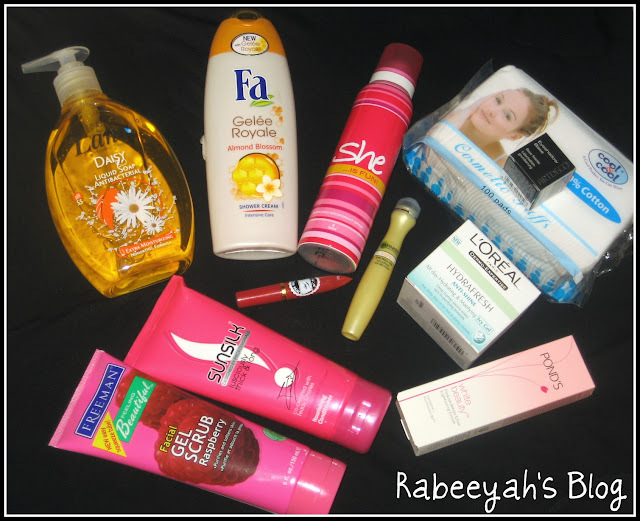 These are the items I bought, I bought some more, but can't show you here :D These were some beauty and non-beauty products. I have mentioned the prices aswell because some of you want to know and I usually forget to upload the pictures with the prices on facebook. I know I am bit lazy :D Sorry for that. But, now I have done it and I will make sure I post the prices next time aswell with the products. I actually went to Naheed to buy the Artdeco eyeshadow base, and I am loving it. Thanks to Sara. H for the lovely review. It is worth buying. I also wanted to check out the Garnier eye roll, because I have really bad dark circles. They had 2 of them. One from Korea or something and other one was from India, which I bought. The prices were almost near, but I wanted to buy India's. 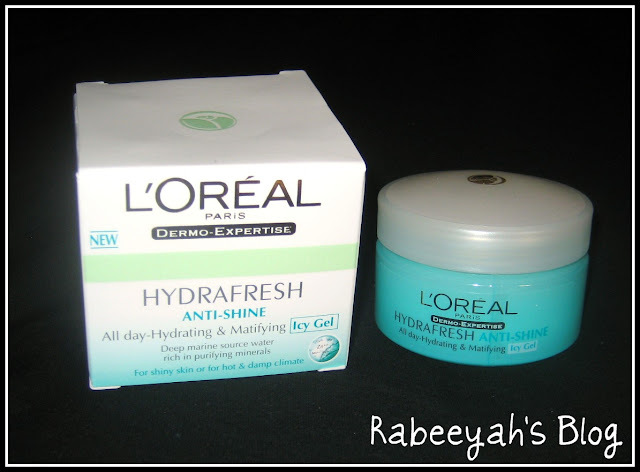 I am almost out of my L'OReal Hydrafresh cream, so I went to buy it too. But, I saw a new L'Oreal Hydrafresh Anti- shine cream, which is good for hot weather. I thought for sometime and then I picked it up. Because, my skin is a combination skin and it gets really oily in Summers, this cream seems a good thing for summers. It has amazing summery cool smell, which makes you feel cool and relax. I will try and then will do a review on it. I picked Ponds white beauty lightning cream, I haven't used it before, but it sounds nice to me. So, I picked the small tube one. Not the full size. Thank you Leslie :) Freeman surely does makes good products. I love this gel scrub. hey hun! that garnier eye roll looks awesome. i thought you might be interested in entering my ELF 83-piece makeup palette and nail polish set giveaway! pls do a review on the loreal anti shine. i saw it at naheed too but am waiting till the summer arrives since till now the conventional hydrafresh is working for me. i too have oily skin in summers only. 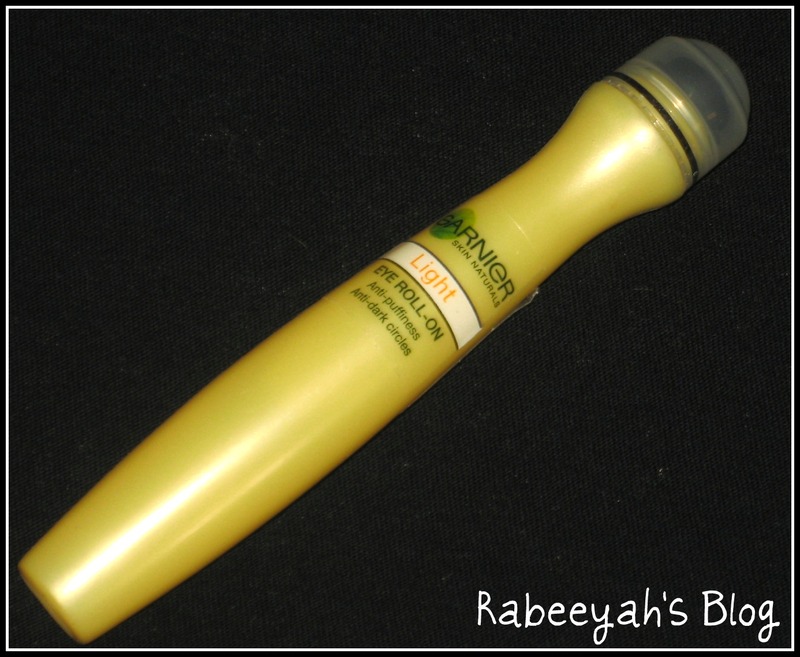 i ve used the garnier roll on but it did not work for me i got the same thing. GREAT HAUL girl :D love all the stuff. rabeeyah you vist naheed supermarket alot of time but i am not the only thing i wanted to know that their is any thing that you want to change like their services their displays or anything in this supermarket? then its help me in my research thankyou.